Signing up on this page, automatically signs you up to receive MPI's U.S. immigration policy updates. You may also select additional topic/region updates below. If you wish to sign up for other MPI groups, but not U.S. immigration policy program updates, please sign up here. This map illustrates asylum recognition rates in individual European Union Member States and European Free Trade Association (EFTA) countries (Iceland, Liechtenstein, Norway, and Switzerland) by country of origin and year, from 2008 onward. This innovative tool also shows the total number of decisions as well as the type of protection status granted. 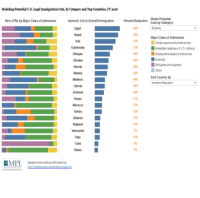 Immigration to the United States is the subject of significant debate, with questions ranging from the size of inflows, the role of immigrants in the labor market, and the nature of enforcement, to humanitarian admission policies and the sociodemographic characteristics of new arrivals. As such, it is important for the public to have access to accurate current and historical information. 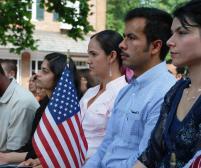 This article offers the top statistics on immigrants and immigration to the United States.